Ochoa completely earned this win, with victories over several good players. Another weekend, another strong Mexican draw for a non-Tier 1 IRT event. Lets review the Sonora Open. The Sonora open draw was a bit deeper than last week’s Torreon draw, with a number of up-and-coming players falling in the round of 16. Among them; Rogelio Castillo, Daniel Maldonado, and Juan Loreto. 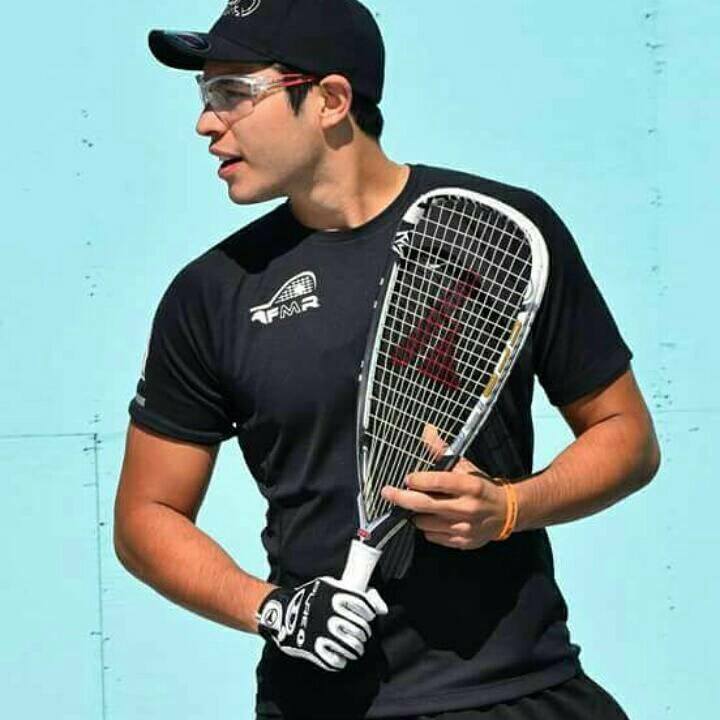 – #1 Rodrigo Montoya Solís, looking for two wins in two weekends, downed the youngster Eduardo Lalo Portillo with ease 3,7. Portillo couldn’t do much with the World Champ on this day. 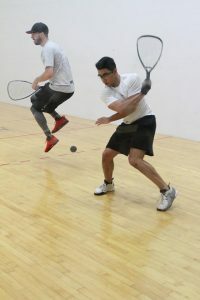 – #4 seeded Javier Estrada took out #5 seeded two-time World Racquetball Tour year end champ Alex Cardona in two tight games 12,14. An excellent win for Estrada, who has now put himself in a position to make waves every time he plays. – #3 Alan Natera Chavez could not continue his good run of form, losing to #6 Jaime Martell in a tiebreaker. – #7 Ernesto Ochoa got revenge for last week’s quarter-finals loss by thoroughly dominating #2 seed Javier Mar 6,7. Ochoa did not miss on opportunities, made his shots and completely earned this win. 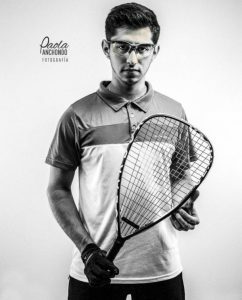 – #1 Montoya earned a tough close win over #4 Estrada 10,14. 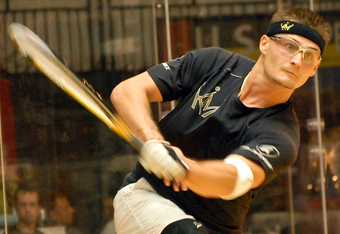 – #7 Ochoa continued his great run, beating #6 Martell in a tiebreaker. 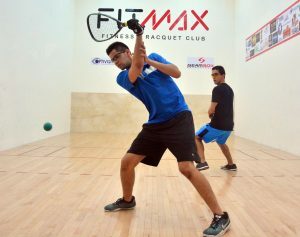 – Ochoa took game one over Montoya, thoroughly earning the win with incredible court coverage and crisp shot making. Mid-way through Game 2 ahead 10-6, Montoya hit the side wall awkwardly on his ankle and had to retire. So Ochoa gets the win, but wasn’t able to quite put the exclamation point on the event like he seemed he was capable of. For me, the events of the last two weekends have now escalated the status of both Estrada and Ochoa into near top-20 realm world-wide. Great playing, great ball. Also a fun doubles draw, with all the top players teaming up for a solid doubles draw. In the final, the top team of Montoya/Mar had to forfeit after Rodrigo’s injury, defaulting to #3 seeded Natera/Martell. Natera and Martell had easily downed the two aforementioned players on great form (Estrada and Ochoa) in the semis while Montoya/Mar had taken out the excellent doubles players teaming up in Cardona/Martell 11-8.